A massed Copd Choir belting out The Hollies ‘The Air That I Breathe’ has struck a chord. Can’t believe you are having this conversation. Today our new CEO conducted a staff forum and talked about his vision. I found him really inspiring as he was focusing on the 95% that we do well and not the 5% we do bad that takes us over our budget. He was very focused on patient-centred care. He is from Scotland and he was telling us stories about people he worked with there. One story he told us reminded me of you. It was about a group of people with Copd. They formed a choir called ‘Breathless not Useless’. This group of people flourished as they sang and supported each other, enjoying their time together doing something enjoyable. I would like to suggest that if you can’t join a choir, be proud. Sing long and hard in the shower and “Sing your own Song”. Patient-centred care, now that’s a phrase dear to us with Copd; people who were once dismissed as either ‘pink puffers’ or ‘blue bloaters’ and left to rot. It’s like ‘chronic’ became a term for ‘redundant’ or ‘useless’ or not valid. Lung disease is unceasing, so, ‘what’s the point?’ Is there a sadder thing than to be told to go away and die, that you have nothing left to offer? Hearing about the ‘Breathless Not Useless’ Copd Choir belting out songs somewhere in Scotland is a real tonic. And they flourished. Of course they did. Every inspiring person, like your new CEO, knows to focus on what they want, not on what they don’t want. What a wonderful man to have in charge of a hospital. I believe if you change the way you see things, the things you see will change. I had not heard that take on singing having a positive impact, but as I read your blog it made perfect sense. Take care, Bill. I’m practising what I preach and spinning a lot of old vinyl. You’ve got me thinking about joining a choir! Thank you! I also suspect blowing up balloons might work pretty well. I read this was one doctor’s solution of rehabilitative care for those who had broken their ribs. He was from Mexico and didn’t have all our wherewithal. Mind, it takes some time – LOL, but letting go of the balloon and watching the dog and cat – priceless! Would you to report back five months after joining a choir? That’s when the UK study said lung function was measurably improved. Imagine that. Not going backwards for a change. I quit smoking almost 20 years ago. Haven’t been able to sing as well since I took up the filthy habit. Of course, I was also a LOT younger then. As far as breathing goes, I see benefits to singing. Who would have thunk? ~(*_*)~~ Wonderful post. Isn’t it amazing how wonderful singing can be? It can help in our lung function & it can help a stutterer speak without their stutter! Maybe because it’s so joyful? Thanks for the great info. I think a ‘Friends of Bill’ (not friends of Bill W) choir would be amazing. I do not have Copd but I have bouts of bad asthma, and difficulty breathing. I probably should have myself checked out. I think we could start off the choir performance with ‘Ode To Joy’ and then progress onward and upward ending with, ‘Won’t Get Fooled Again’. I sing along with the radio all the time but after a couple of songs, I get hoarse and breathy. I think this singing thing has much merit. Give me the English for discovering something easy, fun, and elegant to make things better? ‘Serendipity’ is the word you want! I’m so happy I stumbled onto your post today. My husband suffers seriously from long bouts of clinical depression. He however does love to sing along with the oldies. He has a wonderful voice – and I love to dance. Watch out living room – here we come. We’ll both be dancing and breathing and singing and breathing. What could be more fun that that – and breathing deeply. Wow – who would have thought. Synchronicity, perhaps! Can you let us know how the singing goes? Oh, Barbara – What a wonderful evening we enjoyed. I picked out some of our favourite songs we used to sing along with and danced to all those years ago. I wanted to see Tom’s reaction. The first two he listened and hummed along. By the 4th song he had my Shih Tzu in his lap and he was singing to her. I so wanted a picture but my dog hates the camera. It was priceless and I have you to thank for that. Tom laughed aloud (a sound I cherish) because lately we haven’t had much to laugh about. And, tonight we have a date for more songs and dancing in the living room. I think I even saw a grin this morning from Tom and my dog is happy, happy, happy and so am I. Tom’s shih tzu thinks we are all crazy and that’s fine with us! Have a great day. One enchanted evening, from the sound of it, Sheri. There was a special birthday at our place yesterday and the singing along started early with Neil Diamond’s Hot August Night, took in South Pacific and finished with died-too-young Harry Chapin. There is a beautiful song that speaks to your relationship with Tom, as sun and moon, kite and string . . . It’s called ‘Shooting Star’ on the classic album ‘Verities & Balderdash’. I believe this list could go on forever. My Tom is the first man that romanced me with song (and so many of the other gentle sides of him that make up the special man that he is). When Tom walked into my life, I looked the total package on the outside. My career was flying high, I’d just been awarded a full ride to complete my master’s degree and go on for my Ph.D. with all expenses paid courtesy of the US government where I worked putting in over 80 hours a week. For years my attitude had been, if I’m home when someone called, that’s okay but don’t you dare ask me where I’ve been when we talk the next time. I was in the process of divorcing my 2nd husband and we were already 5 years into the process and it was a full-fledged mess. I worked hard, made straight 4.0 in all my classes and went out dancing and drinking every night of the week after class was over. I had no plans to live a long life until Tom came along. The early music Tom loved and didn’t hesitate to sing along with wherever we were included: Rainbow Connection, After The Loving (I’m Still In Love With You), Can’t Help Falling In Love With You, Words of Love, Come Softly To Me, Music Box Dancer and on and on. I’ll recall more later. I happen to be listening to one of his playlists at the present time. He knows the words of hundreds of songs, it never seizes to amaze me. He can listen to Pete Fountain for hours on end. I’ll be making up a couple CDs for him in the near future to have when he’s unable to get up and about. I commented on my blog just today about your idea of using song for recovery in another blogger I responded to (I believe it was http://writingwingsforyou.com). Thank you for your wisdom. I just listened to Shooting Star and we’ll be singing along with it tonight!!! Also, so you’re not the sort of woman to discombobulate your dog just for a photo! Bless you. Sheri, ‘Shooting Star’ is a beautiful anthem to Carers and Lovers and Significant Others. You have inspired me to open a new room in The Departure Lounge for our carers and families. A special VIP area. It shall be called ‘Flight Attendants’ in the spirit of my blog’s themes. I don’t know where this bucking blogmobile is taking me, but I’m enjoying the ride. I love anything that blows my hair back! — the late Harry Chapin, 1981. 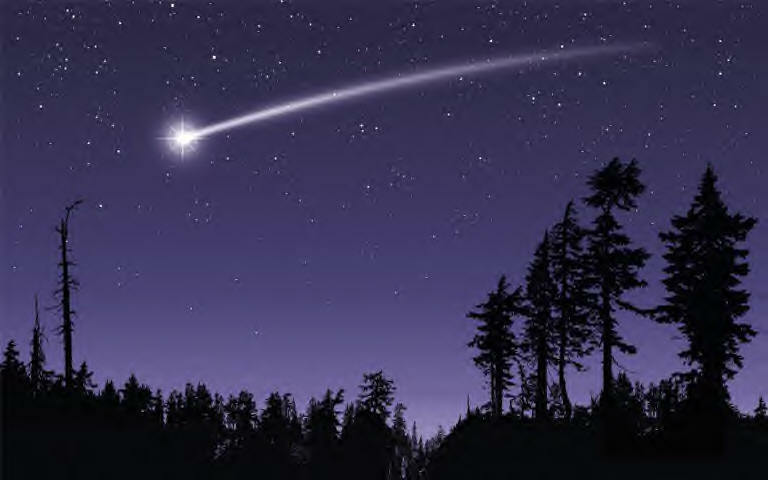 To leave a comment, click on the title, ‘Serendipity, Synchronicity & Shooting Stars’. This entry was posted in Uncategorized and tagged blog, Breathless not Useless, COPD, copd choir, Emphysema, The Air That I Breathe, The Hollies. Bookmark the permalink.